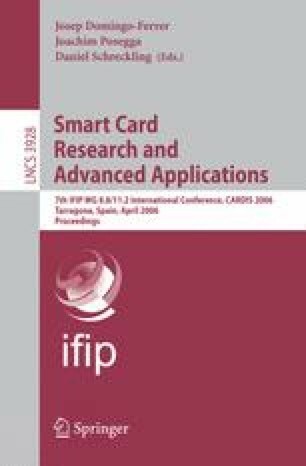 Smartcards are being used as secure endpoints in computer transactions. Recently, the connectivity of smartcards has increased and future smartcards will be able to communicate over the TCP/IP protocol. In this work, we explore options for using a smartcard as an active node in a communication network rather than as an endpoint. We envision in particular a proxy firewall running on a smartcard and combining the best of both worlds: the smartcard as a secure environment, and the proxy firewall for securing the network. Facilitating the various security options smartcards offer, we show how to design a secure network firewall on a smartcard. We illustrate the usefulness of such a device in several scenarios. SUN. Package java.net description, java.sun.com/j2se/1.4.2/docs/api/java/net/package-summary.html.